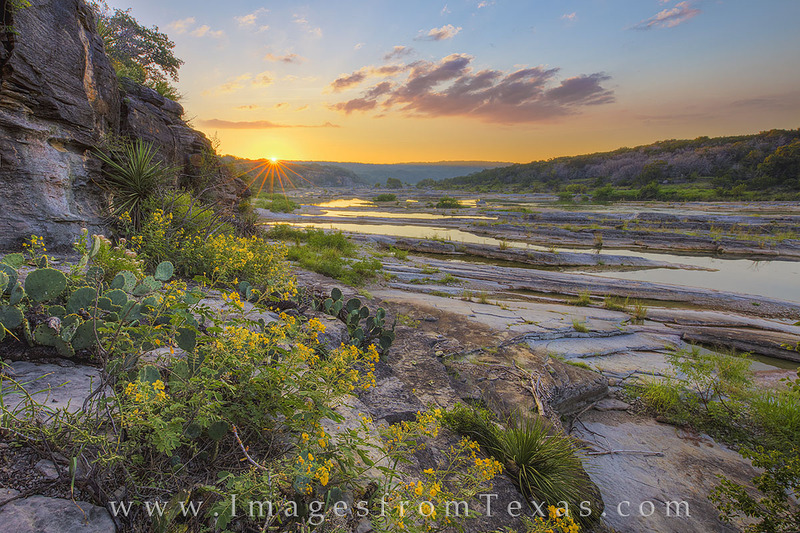 On a warm September morning, golden Texas wildflower bloom from the rocky crags along the Pedernales River. In the distance, the sun's first rays quickly warm up this amazing part of the Texas Hill Country. Photo © copyright by Rob Greebon.